"A specter lurks in the house of music, and it goes by the name of race," write Ronald Radano and Philip Bohlman in their introduction. Yet the intimate relationship between race and music has rarely been examined by contemporary scholars, most of whom have abandoned it for the more enlightened notions of ethnicity and culture. Here, a distinguished group of contributors confront the issue head on. 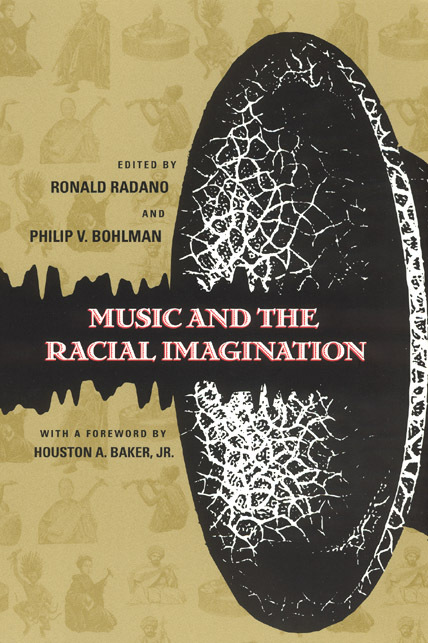 Representing an unusually broad range of academic disciplines and geographic regions, they critically examine how the imagination of race has influenced musical production, reception, and scholarly analysis, even as they reject the objectivity of the concept itself. Each essay follows the lead of the substantial introduction, which reviews the history of race in European and American, non-Western and global musics, placing it within the contexts of the colonial experience and the more recent formation of "world music." Offering a bold, new revisionist agenda for musicology in a postmodern, postcolonial world, this book will appeal to students of culture and race across the humanities and social sciences. Foreword by Houston A. Baker, Jr.